The primary purpose of a senior move manager is to help the elderly transition from one home to another. Pretty straight forward, right? As a matter of fact, I am certain that many of you have helped parents or other family members in this process. If you have, you know that the struggle is real. If you have not been a part of this process, just take our word on this. There are many moving parts that go into any move. Helping to move an elderly person raises the process to another level. We shall start with moving from one home to another — for anyone. Take a minute to think about what you will need to accomplish prior and on “moving day”. 1. Will all of your things fit into the new space? 2. Create a layout to make sure! 3. Do you need to bring everything from the old home to your new home? 4. If you need to sort through and downsize your belongings, what will you do with the things that are not scheduled to make the trip to the new home? Pay special attention to #4, as this can be a very time consuming, essential step. Failure to execute this step properly may mean that you are paying a mover to transport things that you no longer need. If there are large pieces that need to be donated, allow yourself two to three weeks for a charitable organization to make the pick up. You also have the option of selling some things. Again, allow time for that to take place! If you have you noticed your stress level rising, imagine doing this as a senior citizen! Not only is this a physically exhausting and time consuming task, but it also takes a mental toll. This is the point where it may make sense to contact someone who can help with the fine details of your upcoming move. Choices for help may include family members, an organizer (for obvious reasons) or a moving company (who can pack your items). The senior move manager will be able to help you with almost every aspect of your move, including the organization, the packing, the unpacking and setting up your new home. Depending on the work that you are looking to have done and the senior move management company, some companies can get you packed and moved in one day! Senior move managers will work closely with each of their clients to achieve established goals within a realistic time frame. Of course, the more time that is available for you to work with the senior move manager, the less stress there will be. Working within a time crunch, however, is no reason to fret. Your senior move manager will help you to focus on the essentials that need to be taken to the new home, and then work with you on a plan for items that remain behind. Having a non-family, third-party person assisting you in the decision-making process can be tremendously helpful, relieving you of having to make what are often emotional choices rather than practical choices. 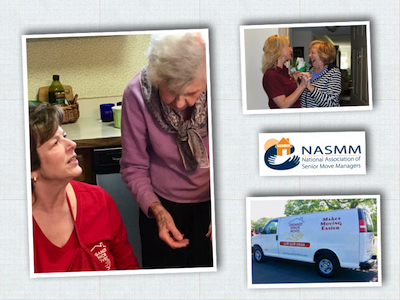 The National Association of Senior Move Managers (NASMM) can put you in touch with a senior move manager in your area. 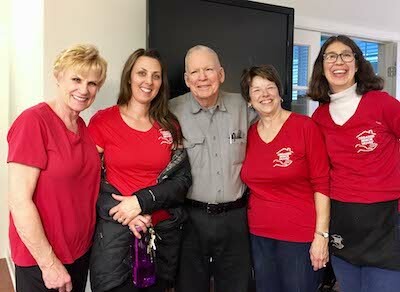 Senior move managers who are affiliated with NASMM have taken and passed certification courses which ensure their understanding of a variety of situations that seniors may face when contemplating a move to a new home. If you’re the adventurous type, you may want to do some of the downsizing/sorting out on your own. Doing so may also help keep your senior move manager costs down. It would be wise to also do some internet research for downsizing checklists/helpful hints. When you feel like you’re hitting the wall of progress, refer to NASMM for your lifeline to a more stress-free lifestyle! Michelle Kavanaugh is the president/CEO of Organize Senior Moves, an independently owned, locally run business that focuses on helping senior citizens who are planning to move out of their home. For more information, call (518) 528-2622 or visit OrganizeSeniorMoves.com.